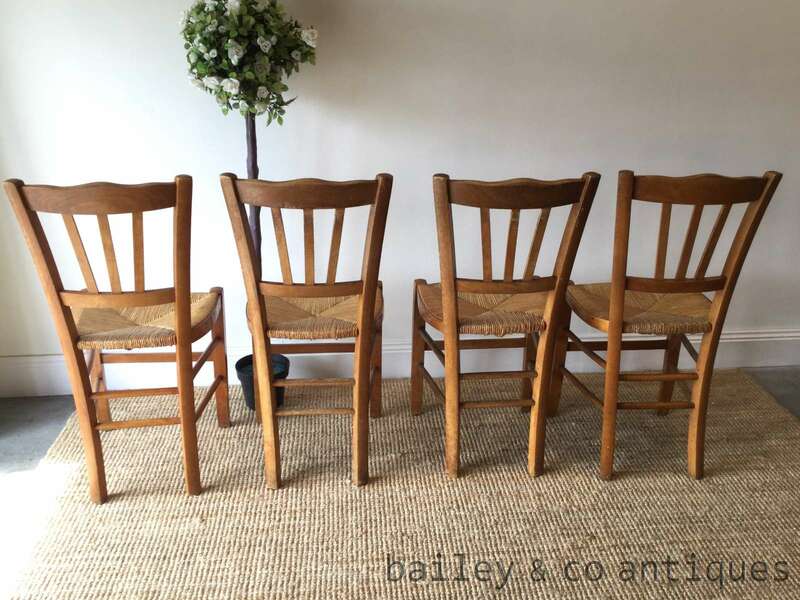 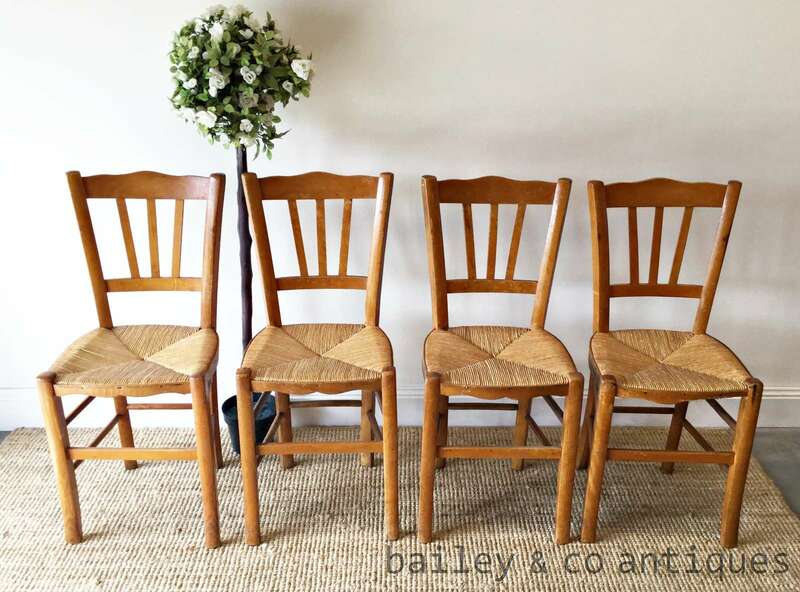 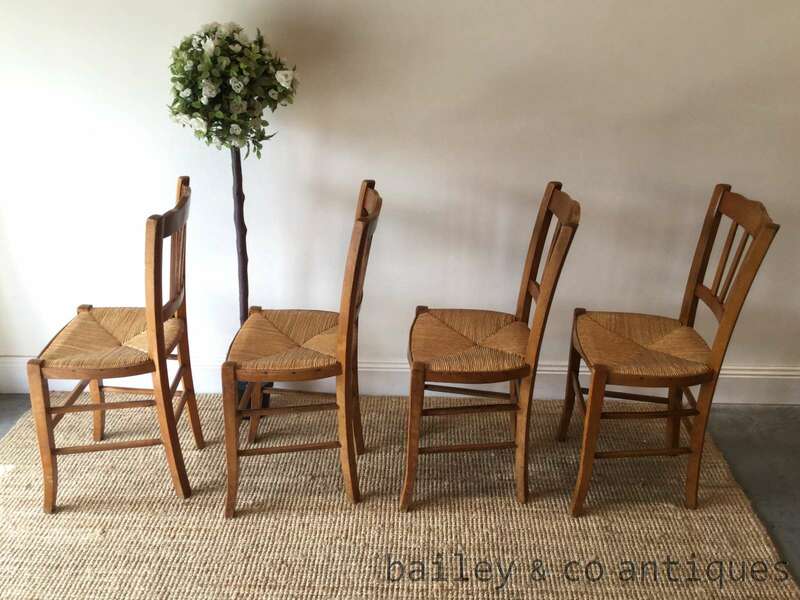 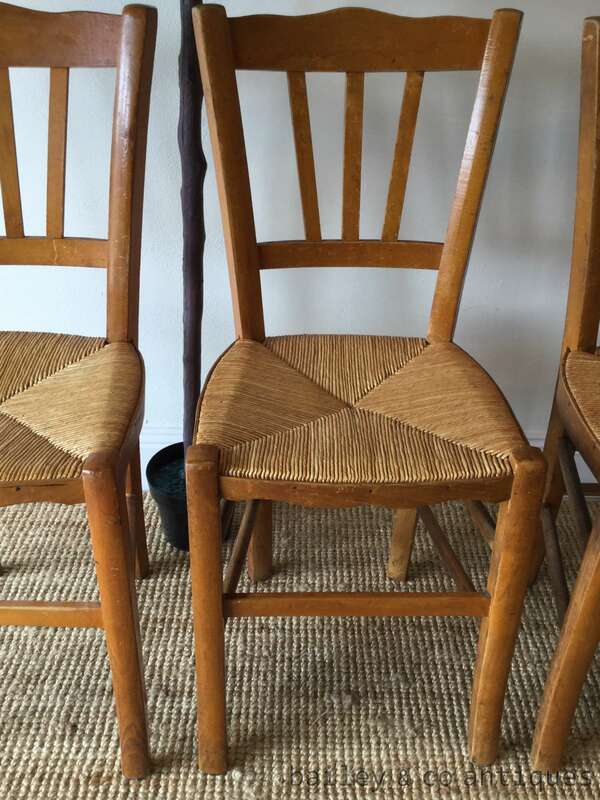 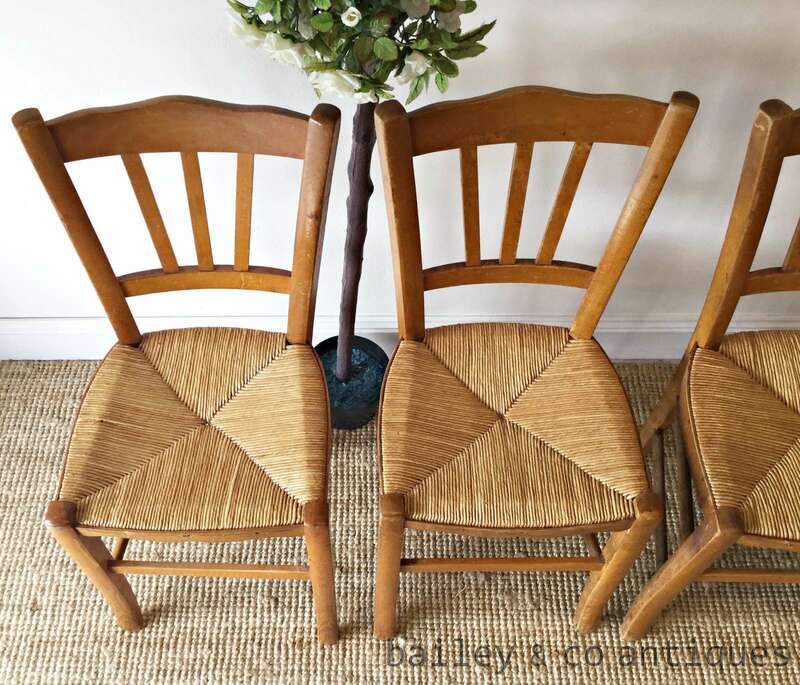 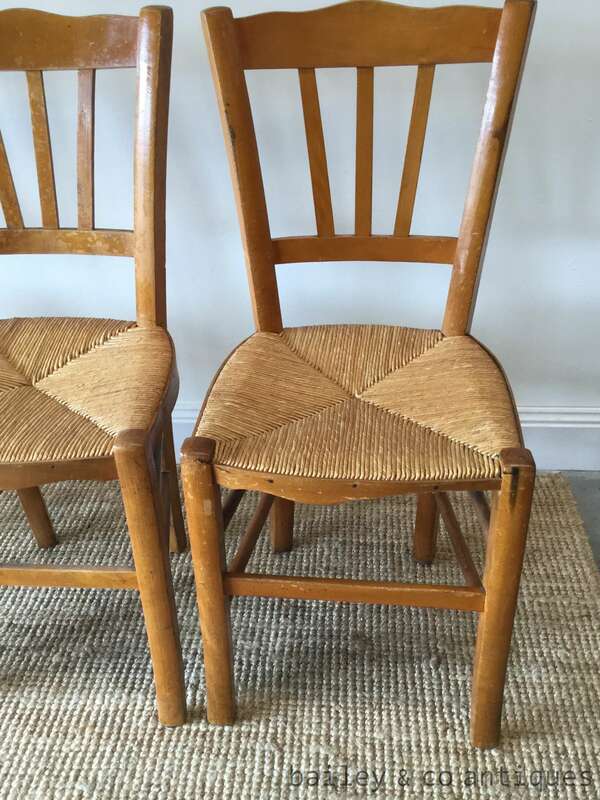 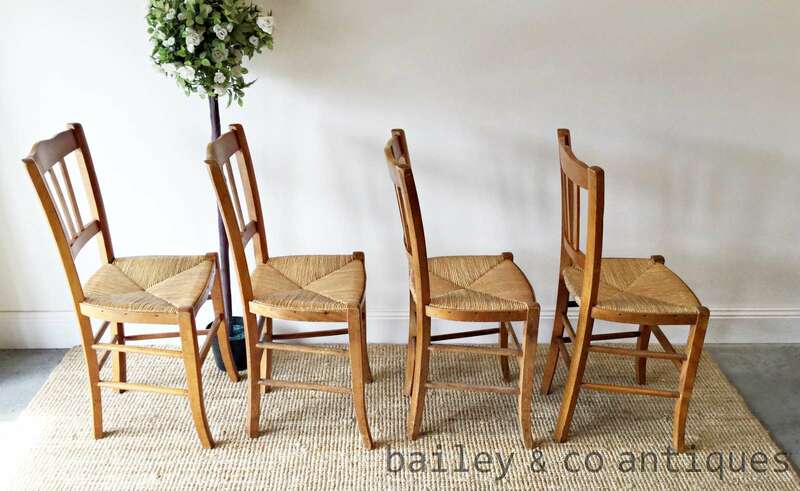 A set of four vintage French ladder backed chairs with rush seats. 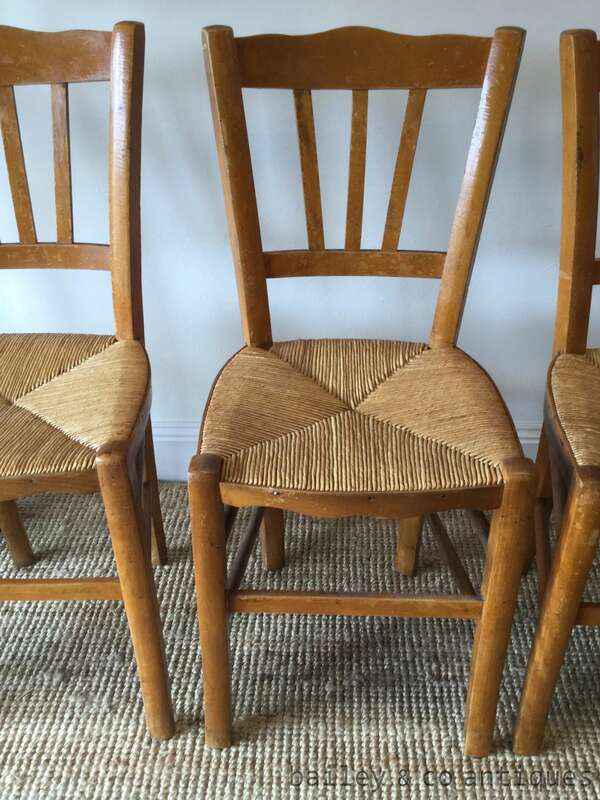 Great for a provincial setting. 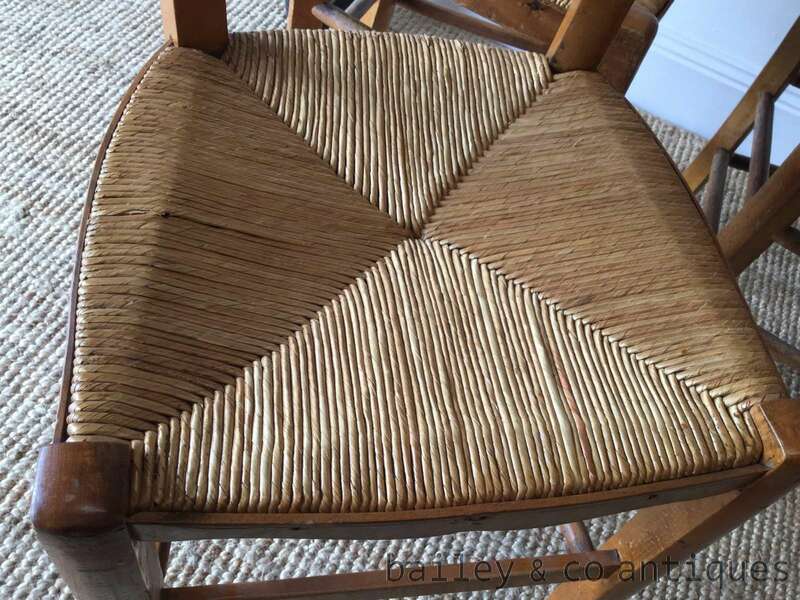 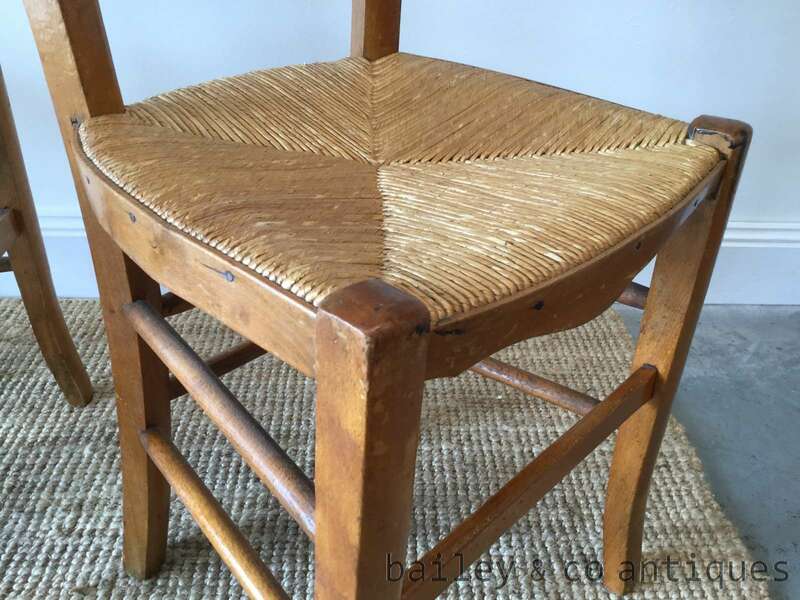 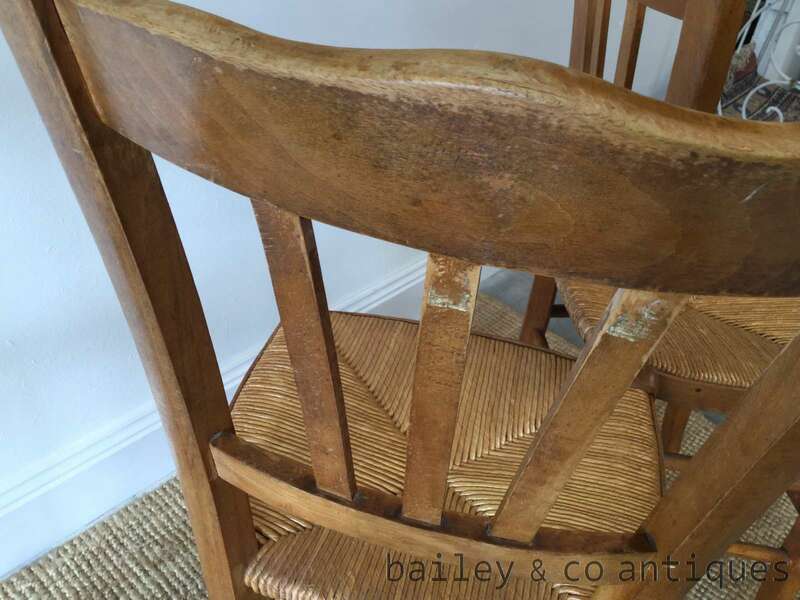 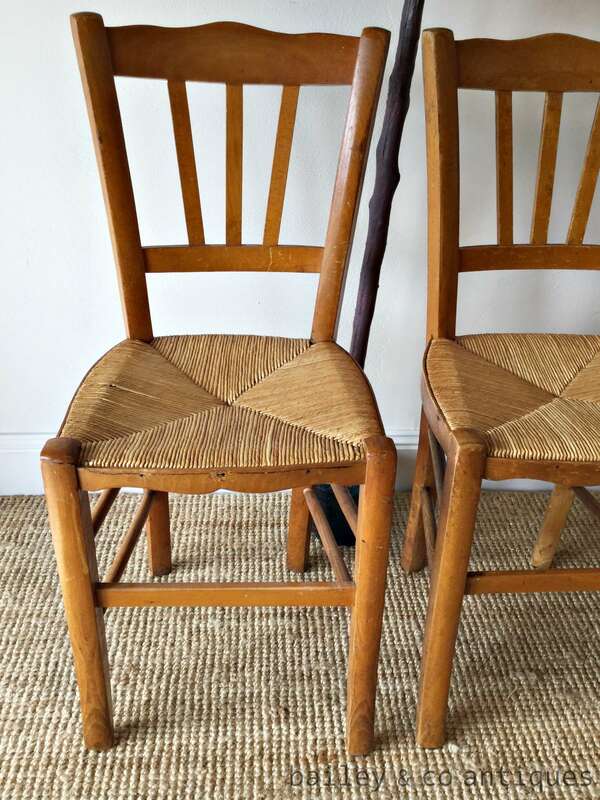 These chairs have slight movement and usage marks but this is mentioned for accuracy reasons and would be expected from vintage chairs. 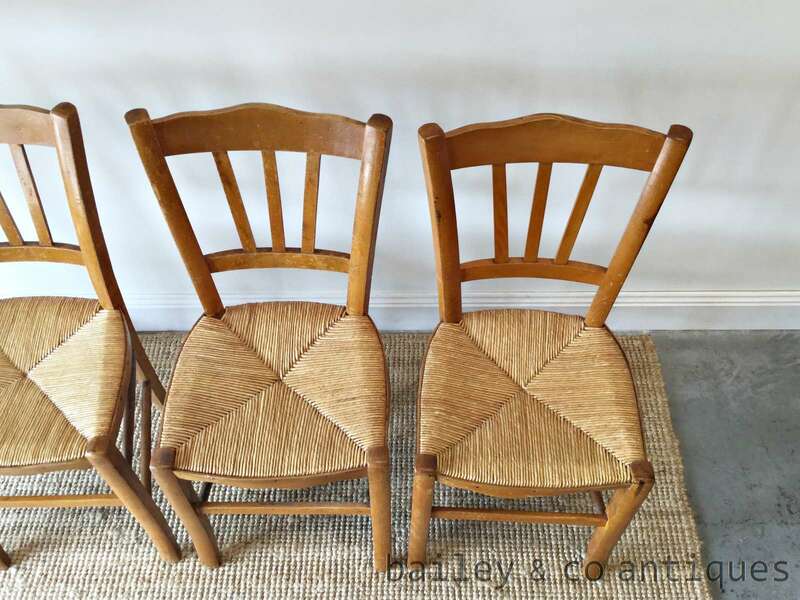 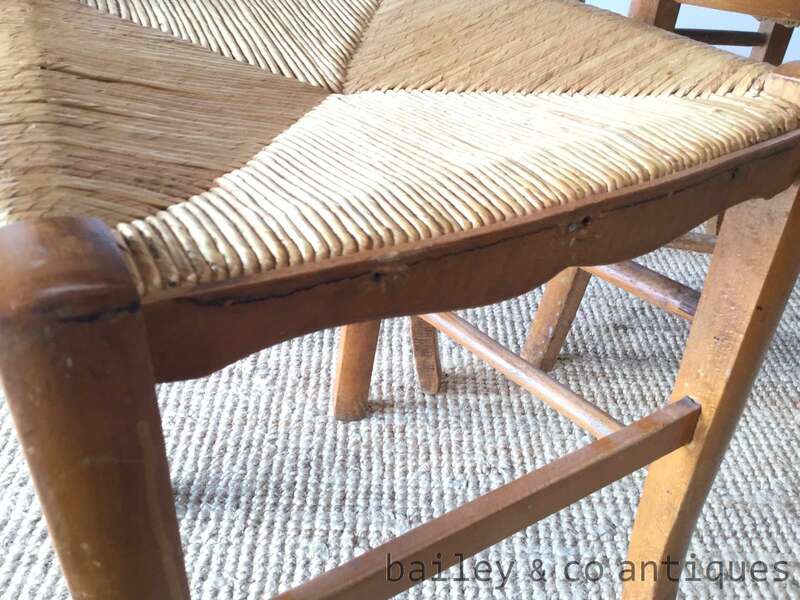 The rattan seats are in very good condition.